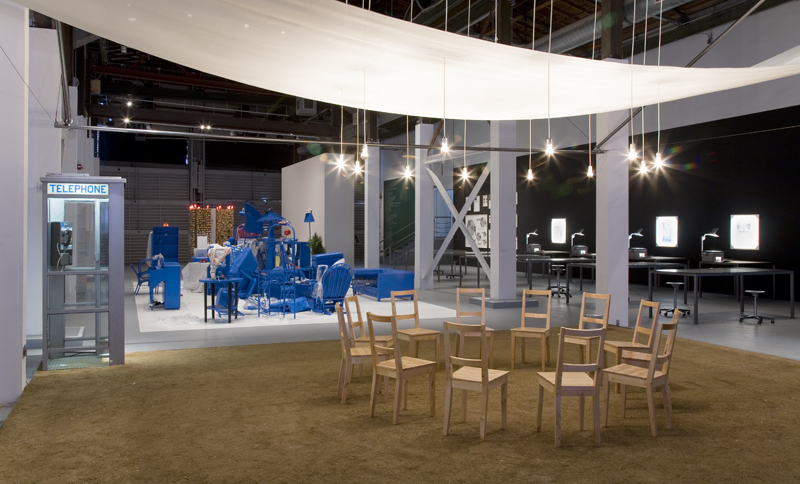 Created as part of the retrospective Allan Kaprow: Art as Life, Trade Talk represented one of Kaprow’s lesser known works, Trading Dirt, as a new installation and performance. 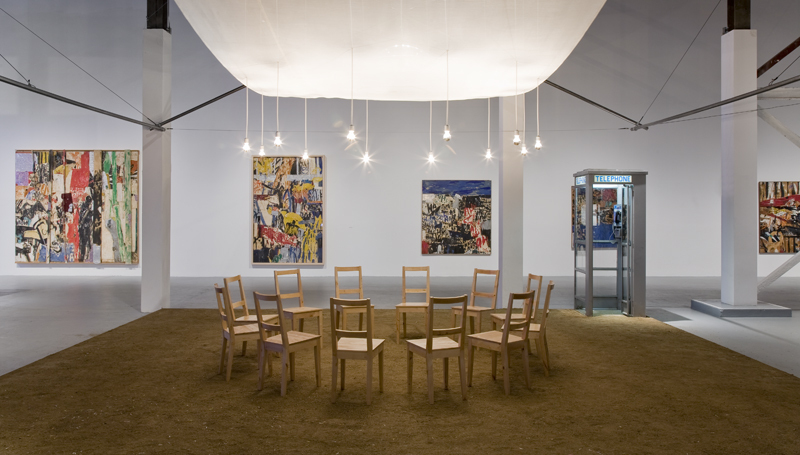 The installation featured a phone booth for audiences to leave memories of participating in one of Kaprow’s past works; a platform of dirt with a floating roof of fabric, representing the Buddhist house of his teacher; and a circle of chairs with bare overhead light bulbs, also featured in many of Kaprow’s works. Architect Michael Rotondi designed the house. An archive of such memories, via audio and video, was constructed to capture the ways in which people remembered and experienced Kaprow’s work, since direct and personal experience was his major focus. Each Saturday live conversations between artists who knew Kaprow, including Carolee Schneeman and Eleanor Antin, were videotaped by Peter Kirby as a part of the archive. Allan Kaprow: Art and Life, exhibition curated by Philipp Kaiser for the Museum of Contemporary Art, Los Angeles, California.